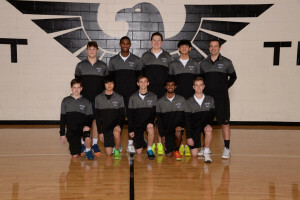 This weeks Tide Cleaners, Lakota East Team of the Week is the Thunderhawk Varsity Boys Tennis Team coached by Ryan Hamning. The Hawks have an outstanding record of 13-4 and 7-2 in the GMC (3rd place) heading into the league tourney this weekend. They have dominated most of the teams on their schedule this season and continue to improve with every match. East has produced big wins this year over Lakota West, Beavercreek, Sycamore’s varsity B team and CHCA. The team is currently on a 7 match winning streak and will look to advance their players in the upcoming post season tourney. The Lakota East Athletic Department would like to extend their sincere thanks to TIDE DRY CLEANERS for their support of Thunderhawk Athletics. Many thanks to owner Ray D’Alonzo and his staff for their valuable contributions to our student-athletes this sesaon. Please visit their location right across the street from Lakota East HS at 6842 Liberty Plaza Dr. in Liberty, Township. Click here or above to visit their web site. THANK YOU TIDE CLEANERS FROM EVERYONE AT LAKOTA EAST ATHLETICS!